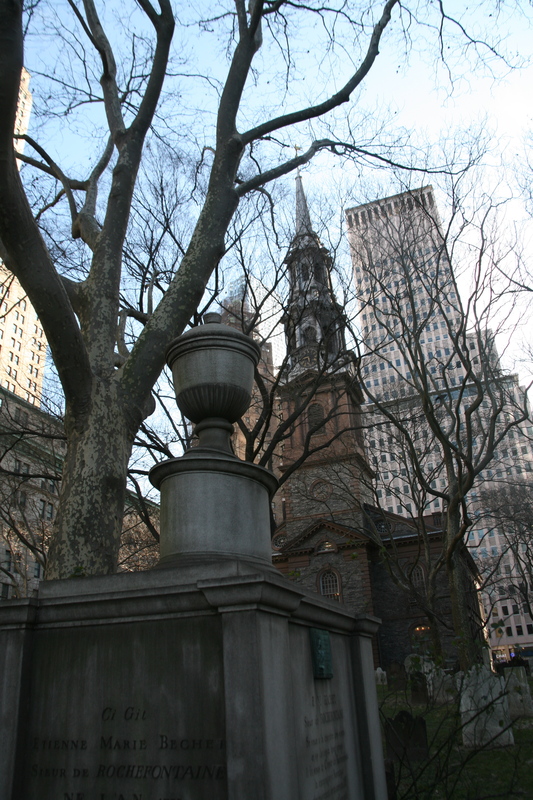 Last weekend, while in NYC, we stayed in lower Manhattan. This is an area that I don’t stay in very much. 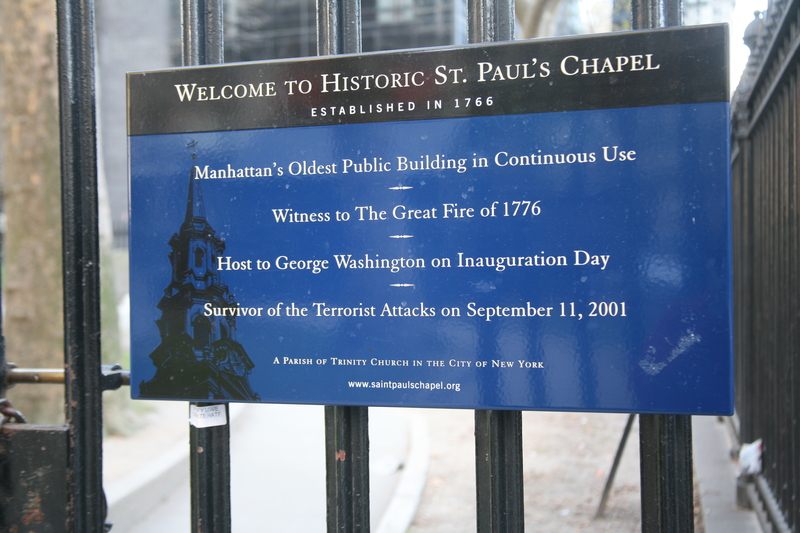 Until we got there, I didn’t realize how close were to Ground Zero. 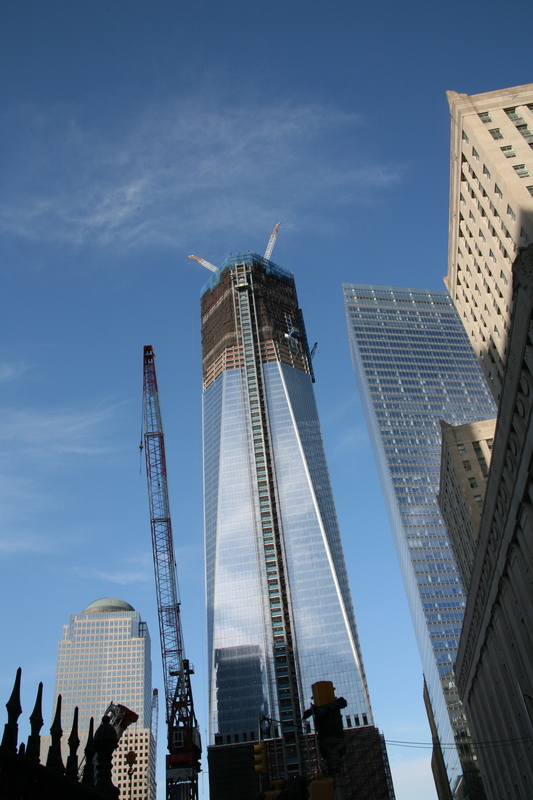 Here are a few pics of the construction of One World Trade. 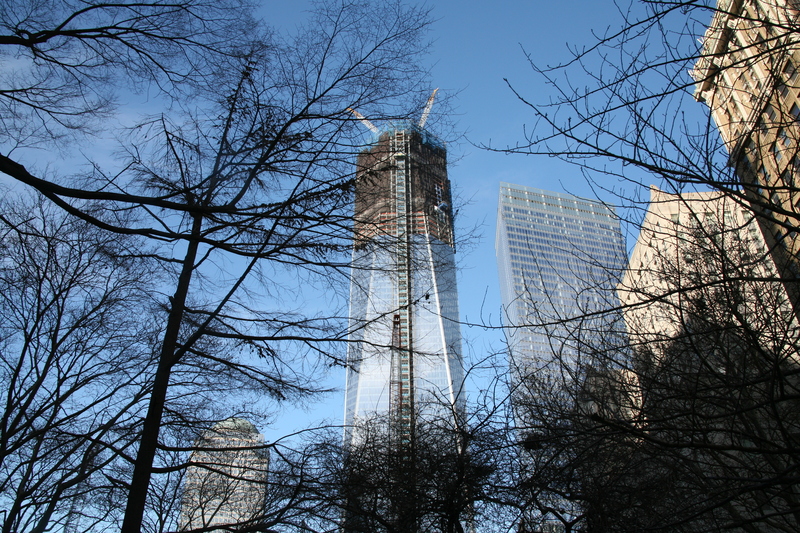 We didn’t get a chance to see the 9-11 memorial, but hope to go back. Across the street was an old church. Prev What is your Favorite holiday tradition? Next December Walk in Doylestown! 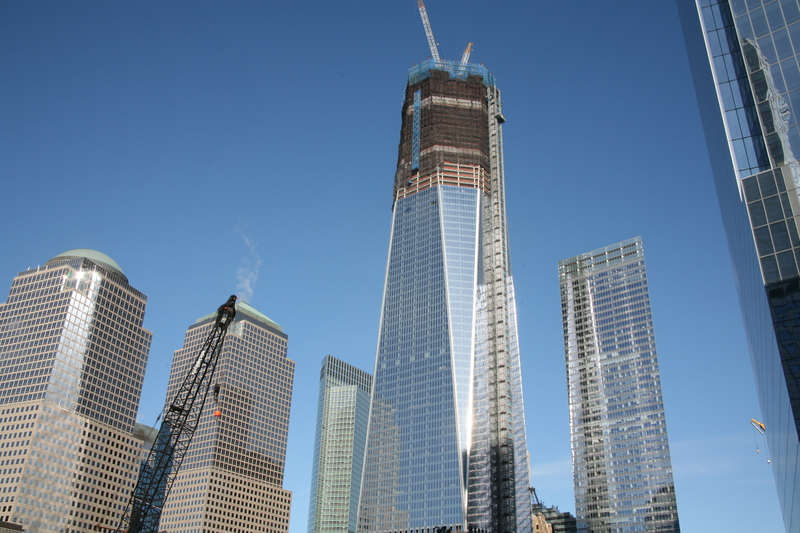 Wow, I was there a month ago and the tower has grown a lot even since then. 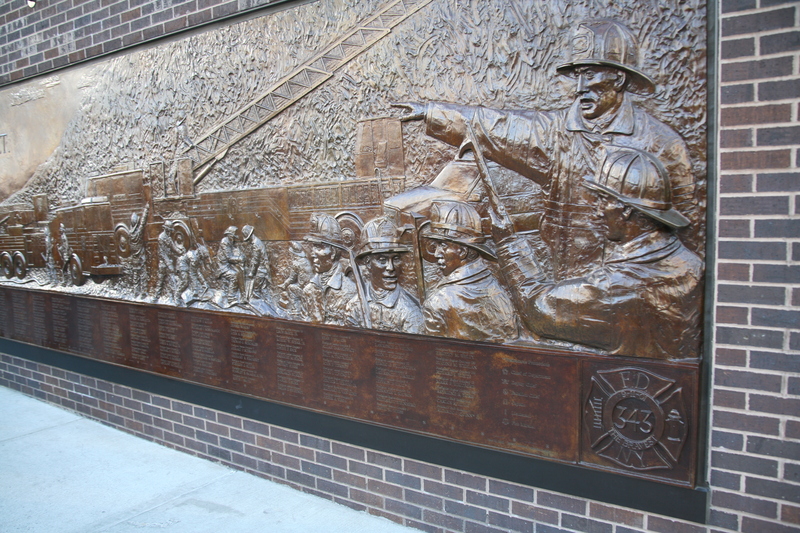 The 9/11 Memorial was definitely worth seeing – we got tickets through the memorial centre museum place along the street. Lots of queuing but very worth it. 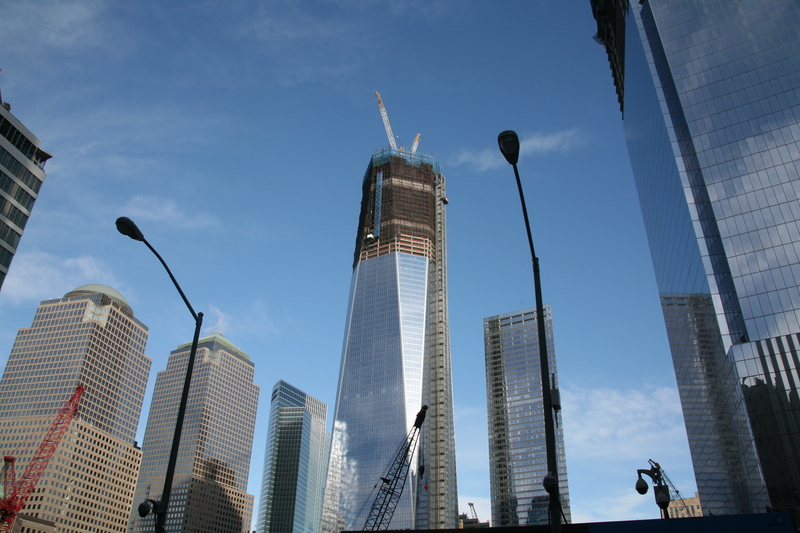 There was lots of construction when I was there on a Sunday. It is bustling with lots of construction.